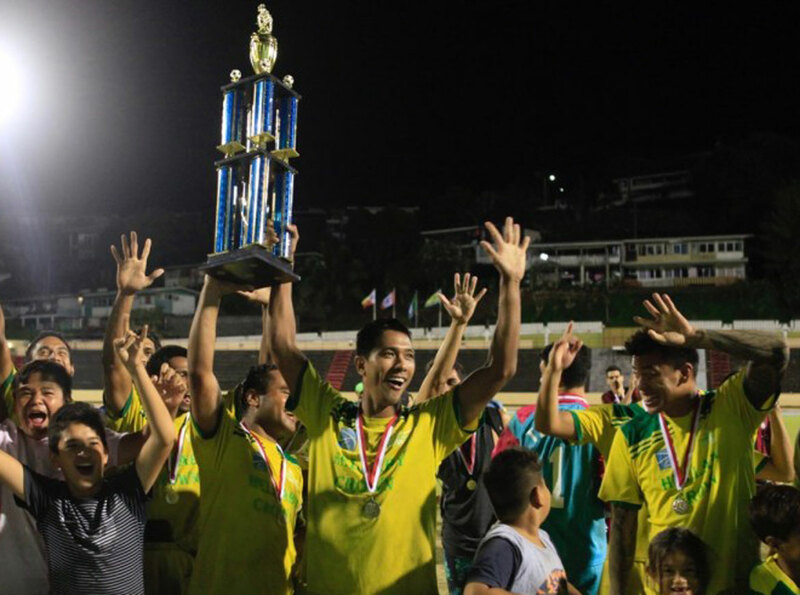 The final of the 2017 Coupe de Tahiti Nui was likened by fans to the battle of David and Goliath. On one side, OFC Champions League regulars AS Tefana, on the other, AS Tamarii Temanava a small club side from the island of Moorea. Tefana topped the table in the Ligue 1 regular season, but lost their semi-final and with it a fourth consecutive appearance in the OFC Champions League. However the side weren’t going to let the season go without picking up some silverware and it came at the expense of Tamarii Temanava. Tefana were without international attacker Sylvain Graglia, who left the club, and Alvin Tehau. Meanwhile Temanava brought a boat-load of vocal supporters with them to fill the stands at Stade Pater to a capacity it hasn’t experienced in recent times. While the mainlanders went into the match as favourites, it was actually Temanava with the first break after a poor clearance from Tefana. Patua Teuanui took the initial strike and while the keeper tried to clear it, he ended up sending it into his own goal in the 16th minute. Tefana upped the pressure, while both coach Sebastian Labayen and technical advisor Pascal Vahirua watched on anxiously. Although the opposition keeper Haurea Tetuanui made several key saves to keep them at bay, Tefana were awarded a penalty which was netted by Temarii Tinorua in the 22nd minute. In the second half, Tefana started to show their dominance and 53 minutes in finally took the lead when Tunoa Tevaearai scored. Seven minutes later Tinorua had his brace after dribbling past the keeper and firing into the open net. But with 30 minutes remaining there was still plenty of time for Temanava to launch a comeback, and that’s exactly what they did. Former professional Marama Vahirua took his place at the front of the Temanava attack and after starting an attack in midfield, was there to send a low drive in to reduce the score to just 3-2. With the clock counting down, the side from Moorea found the back of the net for a third time, but it was ruled offside. But boosted by their fans, they pushed on and the equaliser came via Ramssi Tapotofarerani. Onuu Kaena then earned himself a second caution leaving Tefana to extra time with just ten men. Despite the disadvantage, Tefana continued to dominate and took the lead once more through a Viritua Tiaiho goal. But the excitement wasn’t over yet. Temanava were awarded a penalty which Vahirua stepped up to take, and had he scored it would have once again drawn the two sides level. However it wasn’t to be a dream victory for Temanava as Steevens Hiriga intercepted the spot kick to secure his side the 2017 Coupe de Tahiti Nui. AS Tefana’s victory earns them the right to represent French Polynesia in the 2018 Coupe de France.